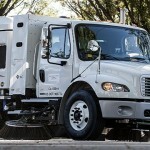 Clean streets are essential to the overall health and safety of your community, but getting streets and other surfaces truly clean requires a reliable, powerful machine. That’s why we provide Elgin street sweepers backed by nearly a century of manufacturing and engineering expertise and the highest standards in the industry. Our Elgin street sweeper rental programs make it affordable for any municipality to get one of the best street sweepers on the market today. Ideal for general maintenance sweeping, these machines can easily handle picking up common gutter debris, including grass, sand, dirt, sticks and small litter. 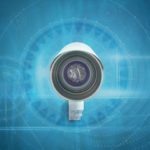 Designed for year-round use, the Elgin Pelican, Eagle and Whirlwind can also make leaf removal a breeze. When fall comes and gutters start to fill with leaves, these sweepers handle dense loads of leaves with ease and efficiency. 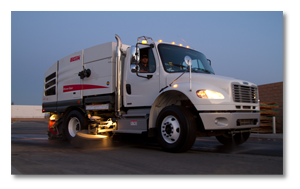 In the spring, take advantage of our street sweeper rental to rid your roads and parking lots of salt, sand, silt and gravel that accumulated over winter. These rugged Elgin sweepers are strong enough to tackle the job, and their powerful brooms and conveyance action are no match for heavy, compacted materials. 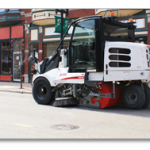 To learn more about our street sweeper rental programs or to schedule a free demo of our Elgin street sweepers for rent, contact the team at Haaker today at 800-200-3432! 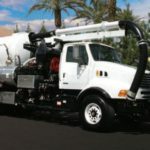 Used Street Sweeper Sale: Big Benefits at Budget Prices! Haaker Equipment Company’s objective is to provide our customers with quality products and total support services. Because of this unyielding tradition, we have become the leader in supplying equipment, parts and customer satisfaction to the municipal, industrial and contractor sectors. 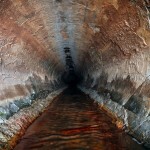 From supplying quality sewer cameras to offering Vactor truck rental services, you can always count on Haaker Equipment Company to address all your needs. Register Now for Haaker Open House! !